I think I’ve finally figured out why my kitty quilt has been waiting for me so long .. I had no bloody clue on what to do for the main body quilting .. that realization rather smacked me in the face over the past few days .. the borders were easy peasy .. but the main body .. EEEEKKKKKKKKK!!!!! Nothing I found seemed to please me one bit! Some was to busy, other’s too loopy, other’s to blah, other’s to fussy .. But I finally found the purrfect (hehehehe) motif. So I went to work cleaning it up, resizing it and tracing it .. it was only AFTER I got all the sheets traced and my quilt ready to go, that I realized I hadn’t done a mock-up to see how it looked :O oops .. LOL .. The border has already changed – nope that didn’t take long at all .. i’ll be using nothing in the wonky narrow border, but paws n meeces in the outer border … it’s just wayyy to cute for words!! So you are finally getting to it! Good for you and I like the motif you have chosen over all the ones I know you considered 🙂 So you will be quilting on that in the morning and I will be finishing last week’s WISP! HooRah for both of us! 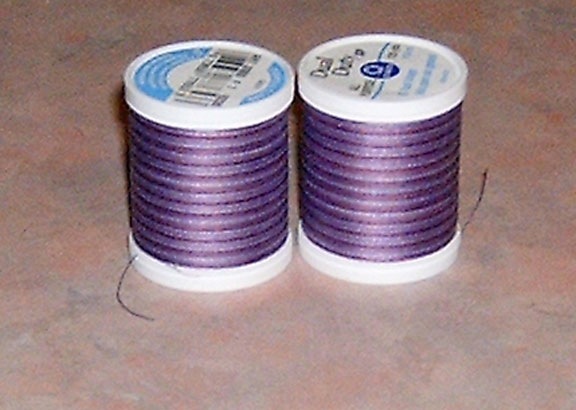 carmen, oh, I love the thread! Going to work perfectly with background! The quilts looking great. 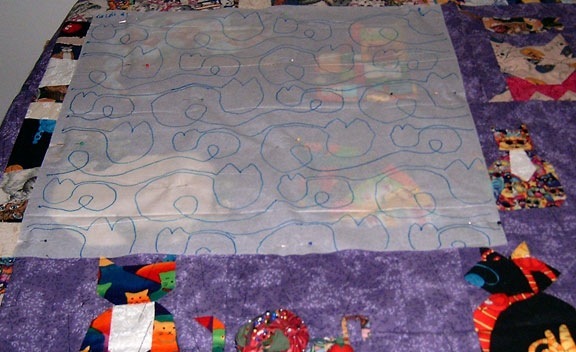 I like the way you put your quilting pattern on a tissue paper and then free motion it. I always find the quilting part daunting so I always get my quilting professionally done. I admired and loved that quilt since your first started showing pictures of the blocks you were making. It is marvelous, all those kitty cats. Oh wow that is going to be beautiful. 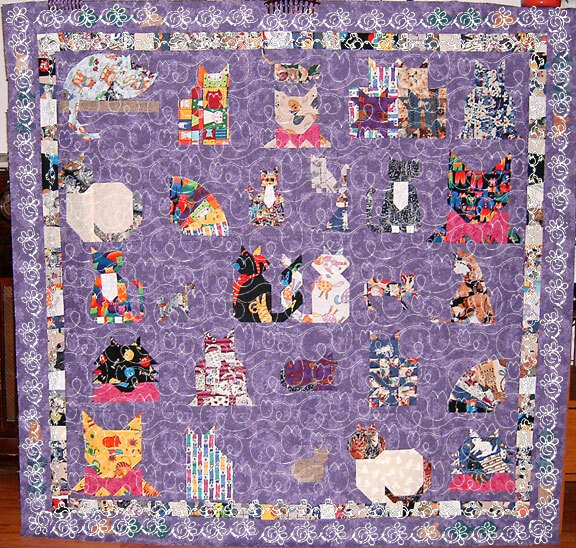 I love the quilt and the motif you chose if purrrfect. LOl. It will be stunning. hi there, found ur blog thru blog catalog directory. luv what u hv here. hv added u unto my blog roll so i cud keep myself update of any new post on ur blog. cheers. wow, that looks like alot of work. I just stipple my quilts but am ready to move on to other avenues of quilting my work. I will definitely some back and check out your site when I am ready.